Although it’s still early in the year, designers have already developed some great, must-have items, for 2018. Women who love to look good for any occasion will find certain styles never get outdated. These are a few of the items you must have (so far), for 2018. A sundress. It is light and airy, you can wear it to the beach, lunch or brunch. You can pair it with a nice blazer for work or dress it up with the right heels. The right sundress can be found in hundreds of colour variations so you can easily find one that works for you no matter what look or style you love to wear. There are loads of varieties of dresses available from different retailers. I would recommend looking through a number of credit catalogues before purchasing. Sunglasses. The right pair goes a long way, not only at shielding your eyes from the sun but accessorizing with any outfit you are going to wear as well. If nothing more, your eyes will thank you on those extremely bright and sunny days when you’re doing your shopping. Sandals. Not any pair of sandals; choose a “wear-everywhere” style. Go with something flat, comfortable and neutral in colour. Not only can you dress it up or down you can accessorise with various colours, you can accentuate any outfit and you are going to feel comfortable in the process as well. A denim jacket is also a great item for the wardrobe. Put it on when it’s chilly out, wear it to the office for work or pair it with your favorite skinny jeans for that all-denim look. Clothing doesn’t have to be extremely complicated in order for you to stand out in a crowd. The right essentials in your closet will go a long way to ensuring you look great at all times. These are a few of the must-have items so far, for 2018. For the women who always love to look their best and dress for any occasion. Bonprix.co.uk is a great site. It has several great dresses you can buy but also sells other styles and fashions for women. 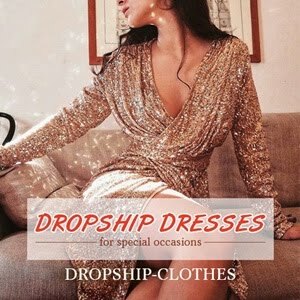 It has an eclectic style, and mix of old/new, younger/older and you can find clothing for women of all shapes and sizes. You won’t feel excluded shopping here as the catalogue offers a little bit of something for every woman, regardless of the style she loves. For an inspired look, laredoute.co.uk is a great French-inspired catalogue. Artigiano.co.uk is a great site for Italian-themed looks and styles. 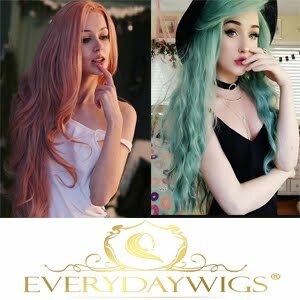 For women who have a specific or desired look in mind, these might be a few top catalogues to visit in order to find that specified look you want to achieve. They sell everything from lingerie to dresses, shoes and accessories so you can find all your clothing in one place. For women who trust in reputation, next.co.uk or a site like freemans.co.uk are good options to consider. They sell plus-size, petite, 50+, styles for teens and every woman in between. The catalogues offer new designer brands and you can find hundreds of new styles added weekly so you’ll never see the same thing twice. No matter who you are or what your style there is a catalogue out there for you. Women who want to look their best and find affordable prices in the process will find that catalogue shopping is a great way to strike that balance. These are a few top catalogues which any women can appreciate when choosing the perfect outfit or styles.